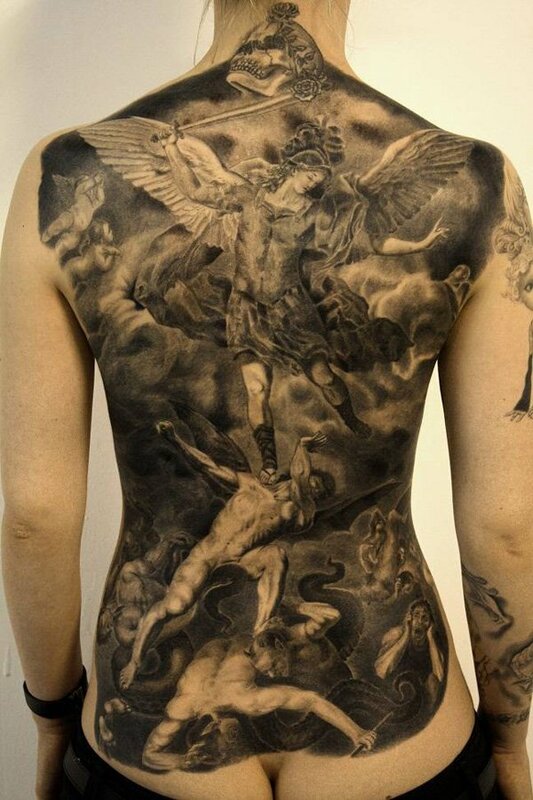 Angel tattoos designs are the popular tattoo art for the male and female. Both men and women are love to get angel tattoo designs on their body. One of the best thing about angel tattoos are wings. Wings are the main attribute. Angel tattoos looks beautiful with open wings. Wings are mostly inked on your back or on the sleeves. Sometimes wings occupy the whole back place with wings and colors. As mention above that angel tattoos have many types like fallen angel, death angel etc. A Guardian angel is known as the protector. These kinds of tattoo designs are the symbol of strength and power. Many of us use these designs to overcome from fear and get success in life. A death angel tattoo is use to represents the bad or sadness. So here we are with new and most beautiful angel tattoo designs for you.